We keep a keen eye on the market to help buy to let landlords source possible investment opportunities, here is our selected property this week. The property is a two bedroom flat located in the Shawlands district, which is on the southside of Glasgow. It is on the market with Austin Lafferty Solicitors. It is located on the sometimes preferred first floor and benefits from a dining kitchen and parking facilities, the Home Report is £130,000. 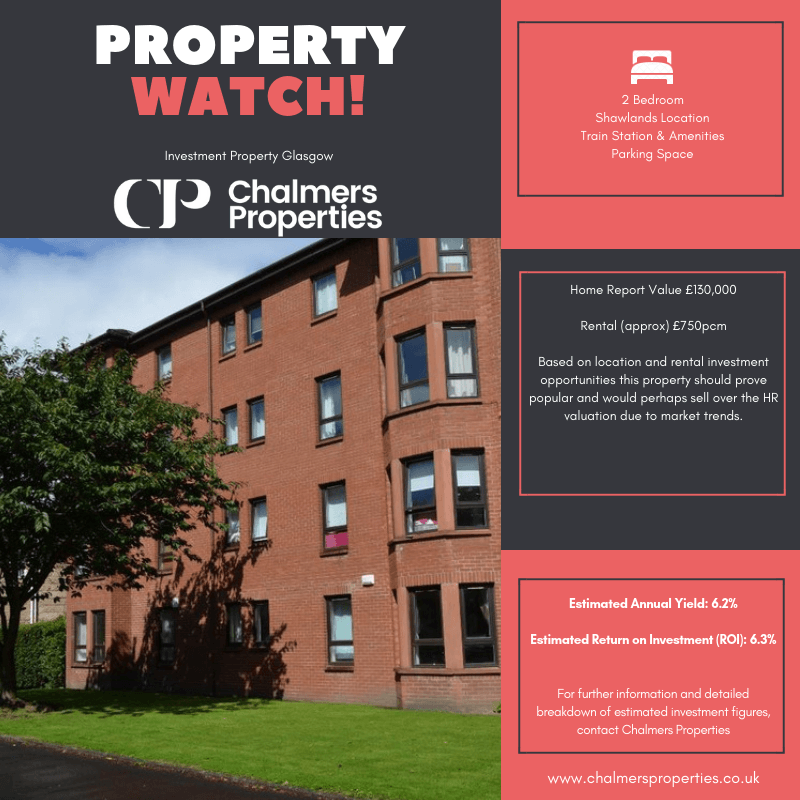 The property is very well located for Crossmyloof train station and road networks, however the real benefit of this location is the community of Shawlands. Within a short distance of the property you have a vibrant local community based around Kilmarnock Road, which has a wealth of restaurants, local shops and bars and cafes’. If you are looking for a more relaxed atmosphere, Maxwell Park and Queens Park are the answer and again only a short distance from the property and boast lovely leafy recreational parks. The estimated rental potential to received at this property would be in the region of £750pcm . Is Your Property Being Managed Correctly?